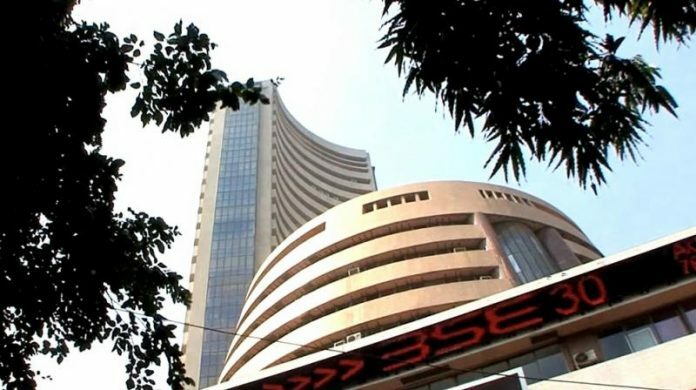 Mumbai(PTI) : Market on Tuesday saw its biggest single-day decline in a month as the benchmark Sensex cracked 180 points to end below 31,000 after financial and PSU stocks reeled amid lacklustre global cues and caution ahead of GST. Banking stocks in particular bore the brunt of the RBI’s mandate which required them to go for higher provisioning for those stressed loans marked for insolvency courts. Investors, who are keenly following US Fed policymakers’ statements to get a clue on which way the borrowing rates are headed, turned cautious ahead of June expiry of derivatives contracts on Thursday and rollout of GST on July 1. The Sensex settled down by 179.96 points, or 0.58 per cent, at 30,958.25, its lowest closing since May 25 when it settled at 30,750.03. It had fallen by 152.53 points on Friday. The stock exchange was shut on Wednesday on account of Id-Ul-Fitr. The NSE Nifty ended lower by 63.55 points, or 0.66 per cent, at 9,511.40. Intra-day, it cracked below the 9,500-mark to touch a low of 9,473.45 and hit a high of 9,615.40. Syndicate Bank, Punjab National Bank, Bank of Baroda and Union Bank all fell by up to 4.97 per cent.